or *Click & Collect* from the shop. 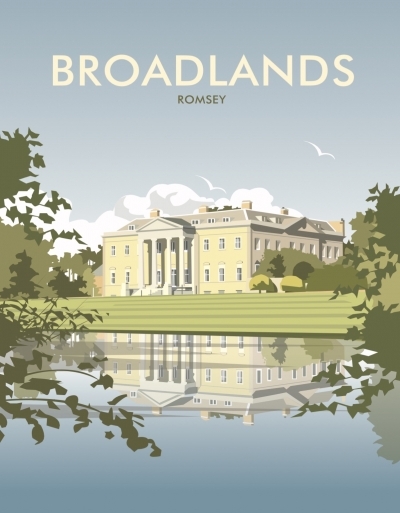 A striking print of Broadlands, Romsey by Southsea-based artist/illustrator Dave Thompson - a modern twist on the iconic style of the vintage railway and travel posters. Supplied backed and wrapped, measuring 14" ux 11".